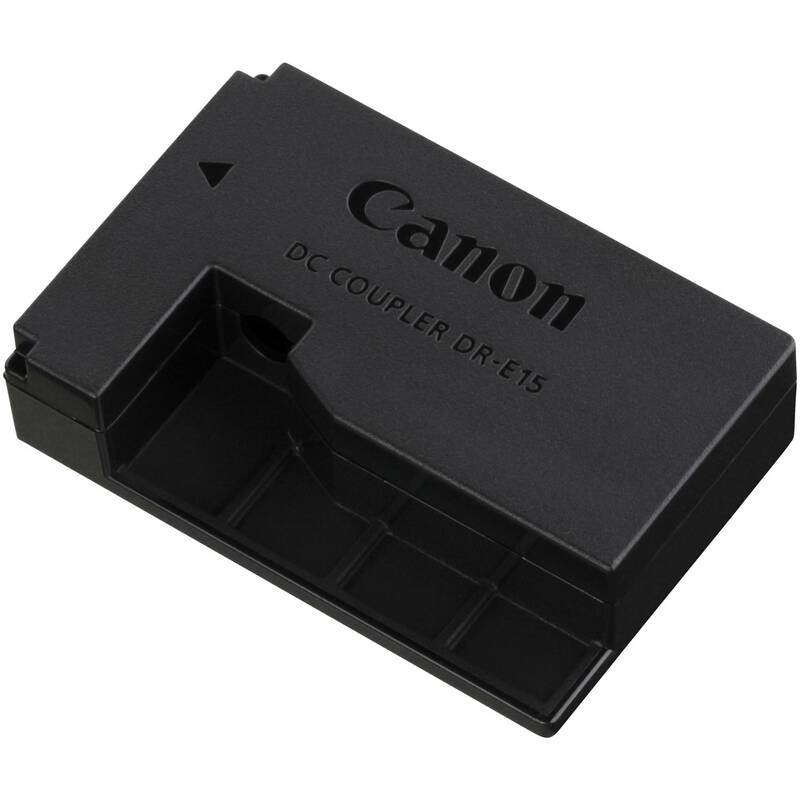 This DC Coupler DR-E15 is compatible with select Canon digital cameras. It fits inside the camera's battery compartment and attaches to the DC cord of the CA-PS700 AC adapter accessory. Note: Please note that this DC coupler is included as part of AC Adapter Kit ACK-E15. Box Dimensions (LxWxH) 3.6 x 2.4 x 0.8"
DC Coupler DR-E15 is rated 5.0 out of 5 by 1. Yes, the Canon DC Coupler DR-E15 is designed for use with the Canon EOS 100D (EOS Rebel SL1).